Locking fold-down door for secure storage and easy access. Charges laptops when not in use with included power strip. Patent-pending Power Management Divider to keep power cords neatly arranged. Choose from 5, 8, or 10 laptop capacity. 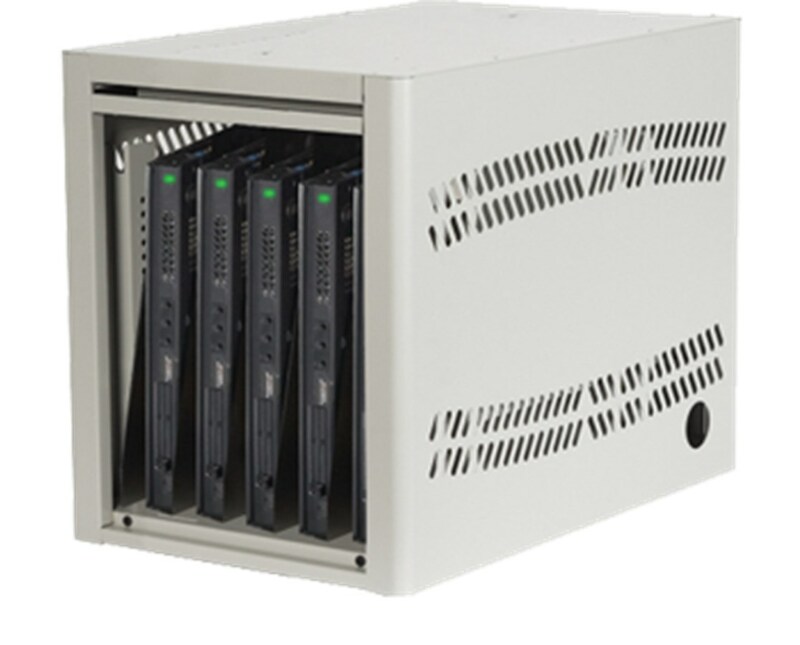 The revolutionary LapTop Depot™ provides secure laptop storage along with easy access and fast laptop deployment. It even charges your laptops when they're not in use! 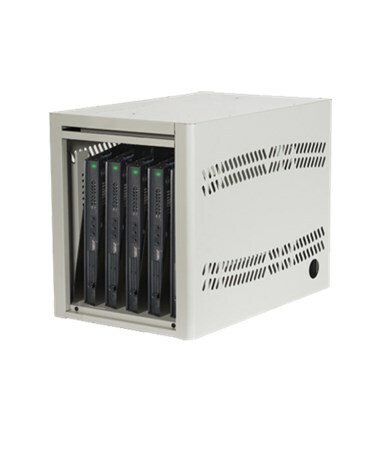 The LapTop Depot™ can be permanently mounted virtually anywhere, providing the perfect solution when you have only a small number of laptops to store. Choose from 5, 8, or 10 laptop capacity to best suit your laptop storage needs. Each LapTop Depot™ comes standard with unique power-management features. Each Depot comes with a power strip to charge laptops while in storage, along with a patent-pending Power Management Divider to keep the laptop power cords neatly arranged. 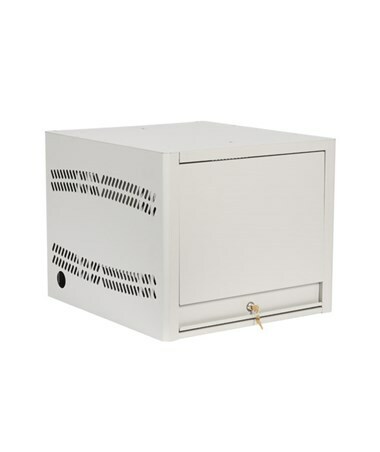 Durable powder-coated steel construction, and secure fold-down locking doors (keyed alike) provide safe storage, while the ventilation patterns on each side provide abundant airflow to keep laptops cool. Available in 2 popular colors. Contact one of our friendly, knowledgeable customer service representatives for additional colors, customization options, and for assistance with creating your own secure laptop storage solution! Power strip to charge laptops when not in use. Patent-pending Power Mangement Divider to keep power cords neatly arranged. Ventilation patterns on each side provide abundant airflow. Width 14", 20", or 24.25"
Product Weight 40 lbs., 70 lbs., or 90 lbs. Keys for locks (keyed alike).